Redwood Legal – Specialist law firm providing legal services to individuals and small businesses. We are a civil litigation specialist providing services to both individuals and small businesses. Redwood Legal is a boutique law firm specialising in civil litigation with offices in London and Nottingham. We have a special interest in helping the Polish community in the UK. We are a Polish-speaking office and we can meet clients in Warsaw if they so wish. We are in the process of building an additional website specifically for our Polish clients with their UK legal issues & disputes. Our recent focus is assisting Polish clients with co-habitation property disputes. Can I trust the UK legal system? Whilst we offer standard retainers on an hourly-rate basis of £200-£250, depending on the seniority of the solicitor, we also have considerable experience of running cases on a “No Win No Fee” basis. In practice this means that in return for a percentage of your winnings we will not charge you our legal fees if you lose your case. Our principle is to champion our clients’ cases rather than simply invoice them on an hourly basis for advice. Law firms are all too fond of charging clients for advice on a “taxi-meter” basis, rather than helping them to solve their problems. Our view of litigation is that it is an entrepreneurial activity in which the lawyer and the client are in partnership. We will try and offer fixed fees where at all possible. No Win No Fee can be especially important where a worthy client is faced with an opponent with deeper pockets who attempts to intimidate the client into dropping a case simply by the threat of their own rising legal bill. Redwood Legal’s track record against banks in financial mis-selling claims make us perfectly well-equipped to deal with such opponents. 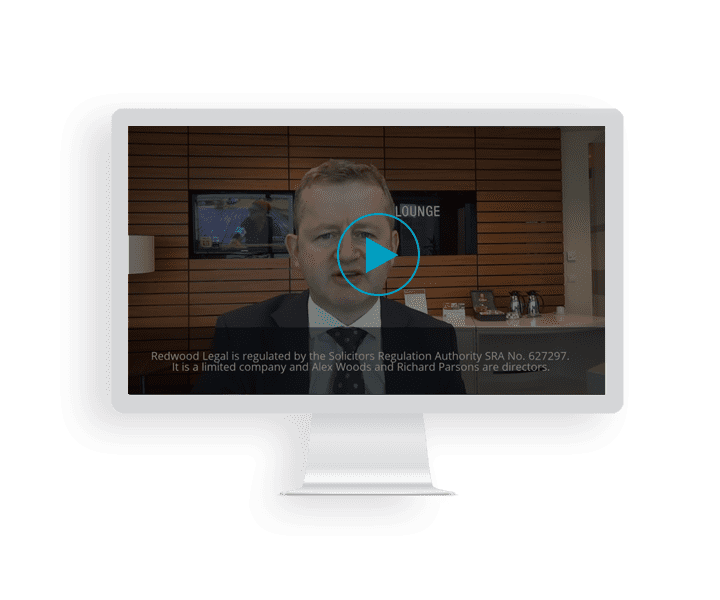 Redwood Legal produces free videos, podcasts and other information on various areas of the law and UK county court procedure. We run a YouTube channel, Redwood Legal Information and have many free videos in the areas of cohabitation property disputes, inheritance act claims, financial mis-selling claims, general litigation & the small claims court. Go to the YouTube channel. Go to the Resources section of this website and the list of podcasts. We are currently building a media library of interviews with clients, asking them about their experiences of the UK legal system. The first of these can be found here, where we interview a client about her co-habitation property dispute claim.